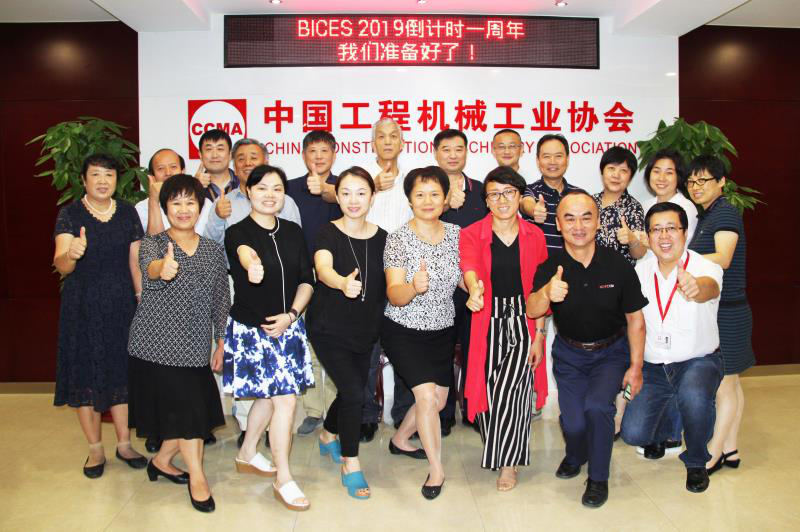 On September 4, 2018, China Construction Machinery Association (CCMA), the organizer of China Beijing International Construction Machinery, Building Materials Machines and Mining Machines Exhibition & Seminar (BICES) and Beijing Asiamachine International Convention & Exhibition Ltd (BAICE), the BICES’s exhibition management office held “BICES 2019 Countdown Anniversary Event”in the meeting room of CCMA. Mr. Qi Jun, the president of CCMA made the mobilization speech at the meeting, Mr. Su Zimeng, the executive vice president & secretary-general of CCMA hosted the meeting. Mr. Lv Ying, the deputy secretary-general of CCMA & general manager of BAICE and other deputy secretaries-general of the CCMA, Mr. Yan Jianguo, Mr. Wang Jinxing, Ms. Yin Xiaoli and all officers of BAICE attended the meeting and reported on their respective work.The meeting pointed out that in 1989, BICES launced in the China capital of Beijing. In the past 30 years, ,BICES has been greatly improved with scale, quality and effect ranking among the world top level under the support of government, media and all walks of life and the unremitting struggle of the industrial people. Especially since CCMA has taken full control and moved BICES to the China International Exhibition Center New Vanue , BICES have been greatly growth to build the value exchange platform of the industrial chain of construction machinery making continuous innovation and warm service base on Beijing, facing the whole country and looking around the world. 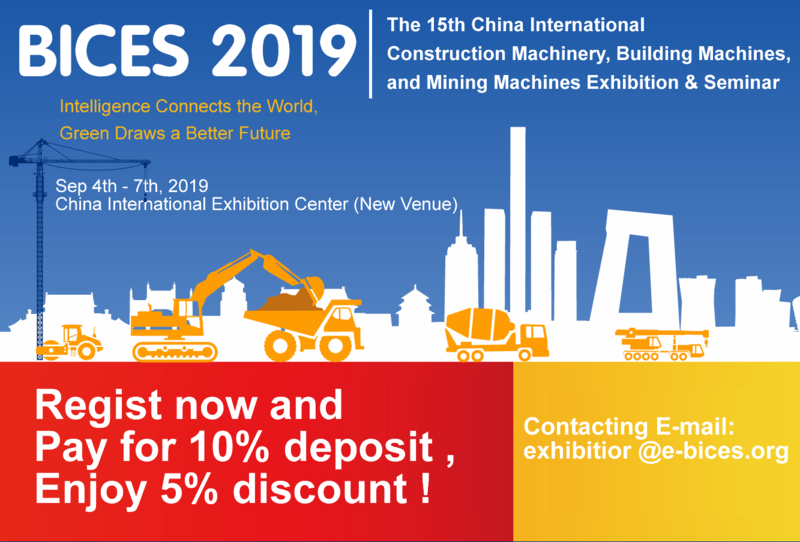 BICES 2019 will organize distinctive important audience event called”Thousands of User Conferences, Numerous Buyers Attendees” and a series of high-end supporting meetings will during the show date, such like the 2nd “The Belt and Road”International Cooperation Forum on Construction Machinery, the 2nd China-Africa Construction Machinery Cooperation Development Forum, the Top 50 Summit of Construction Machinery Industry etc; At the same time, in order to celebrate the 70th anniversary of the founding of the People's Republic of China, BICES 2019 will especially establish “Construction Machinery Achievement Exhibition Area” where focus on showing the brilliant achievements achieved by the construction machinery industry for 70 yeras since the founding of China in the forms of pictures, exhibition boards, film and television etc. It will also hold relevant forums and BICES construction machinery series selection to celebrate the 70th anniversary, invite outstanding entrepreneurs and industry insiders to talk about the true feelings, and commend the typical projects, excellent enterprises and famous brands of construction machinery for past 70 years. The meeting said that with the strong promotion of the leaders of CCMA, more than two months after the BICES 2019 press conference, a overwhelming feedback was formed by industry enterprises and user groups enthusiastically, especially the enterprises are actively participating in the exhibition, some well-known leading enterprises at home and abroad have expanded or even doubled the exhibition area on the basis of the previous session, and even more super huge exhibitors take a increase of more than 1000 square meters on the basis of the previous super-large space. All sides expressed their expectations for the new initiatives made by BICES 2019. 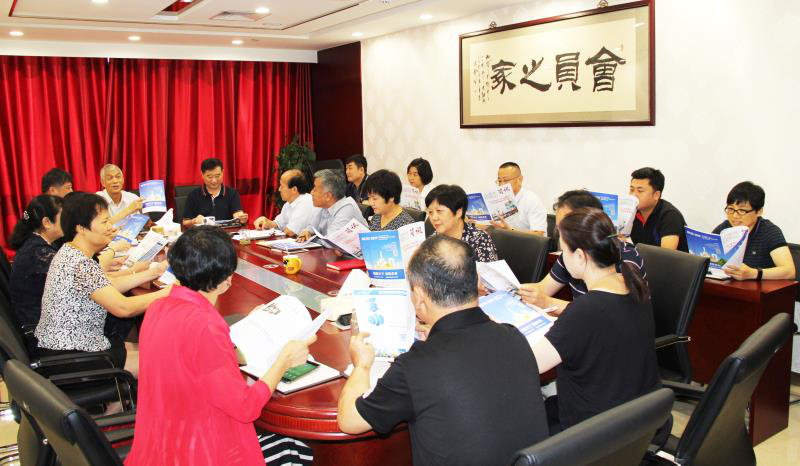 The meeting also pointed out that BICES 2019 will divide into the great power hall, the green development hall, the strong foundation and the high-end supporting hall, the intelligent and interconnected hall, and the emergency rescue equipment exhibition , high-altitude machinery exhibition area, road maintenance equipment area, parking and parking equipment area, modern logistics equipment area, local key area equipment exhibition area, construction machinery cultural experience area and other professional special areas etc. In addition, the organizer also launched a special incentive policy for BICES 2019, that is, the applicants who apply now and pay 10% of the total booth fee before December 25, 2018, and all booth fees will be paid before July 10, 2019, can enjoy a 5% discount on the total booth fee. 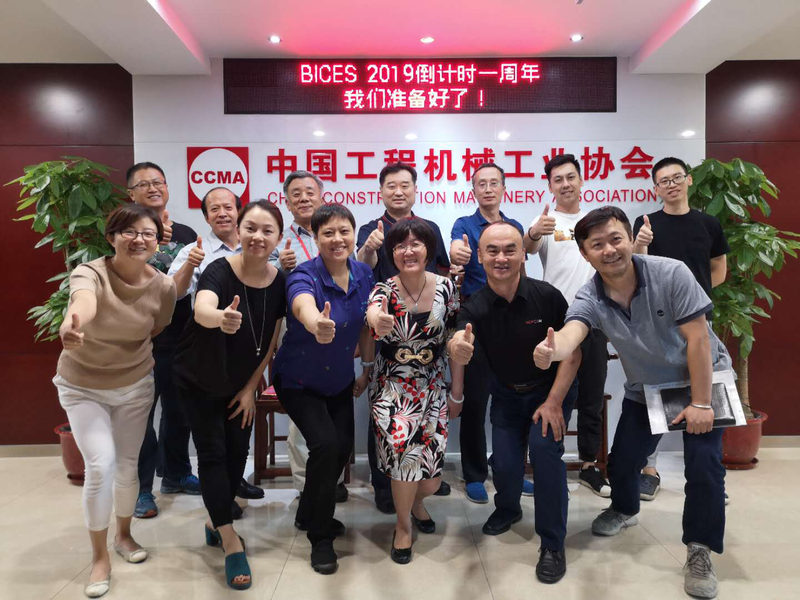 All the staff members of CCMA and BAICE expressed their enthusiasm after listening to the leaders’speeches: under the leadership of the association, they must work together to strive for excellence, return the industry, exhibitors and users with perfect service, and devote full efforts to make BICES 2019 to be a world-class international exhibition.